What are the different types of college loans? There are three ways to borrow for education: student loans (Federal Stafford and Federal Perkins loans), parent loans (PLUS loans), and private student loans. 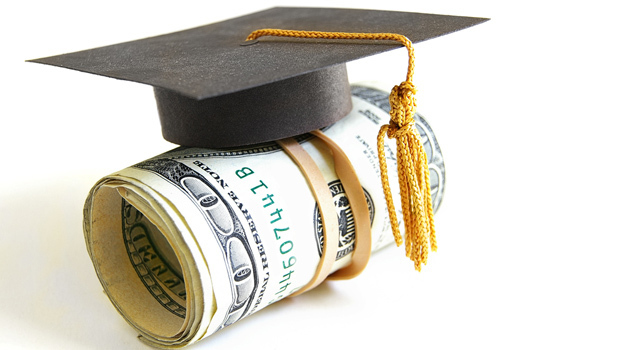 What is a Stafford loan? A Stafford federal loan is awarded to students who are enrolled at least half time in college, complete the (dreaded) Free Application for Federal Student Aid, and demonstrate financial need. Two-thirds of these loans are awarded to students with family adjusted gross income of under $50,000. Stafford loans come in two flavors -- subsidized and unsubsidized. With a subsidized loan, the government pays the interest while students are in school; with an unsubsidized loan, the student pays the interest and can defer payment until after graduation. So subsidized Stafford loans are preferable to the unsubsidized variety. The term is 10 years, although other terms are available via consolidation. What is the interest rate on Stafford loans? Dating back to 1992, Congress set the interest rate on federal student loans at fixed rates ranging from 6 percent for loans issued in the 1960s to 10 percent for loans issued between 1988 and 1992. By the end of 2006, student loan rates were at 6.8 percent. The College Cost Reduction and Access Act of 2007 phased in a reduction of the interest rates on subsidized Stafford loans for undergraduate students starting July 1, 2008. The phase on newly originated undergraduate loans was 6 percent for 2008-09; 5.6 percent for 2009-10; 4.5 percent for 2010-11; and 3.4 percent for 2011-12. The rate is scheduled to revert back to 6.8 percent for the 2012-2013 school year unless Congress agrees to keep it where it is. What's the cost to the government of extending the 3.4 percent interest rate for another school year? It would run $5.8 billion, according to an analysis by the nonpartisan Congressional Budget Office. That's why many deficit-sensitive politicians are demanding that the money be "found" somewhere else in the federal budget. How much can an undergraduate borrow through a Stafford loan? What is a Perkins loan? A Perkins loan is a subsidized federal loan offered though colleges. It works like this: The U.S. Department of Education provides funding to the school; the school determines which students have the greatest need; and then the school combines federal funds with some of its own funds for Perkins loans for qualifying students. The government pays the interest on the loan while the student is in school and also during the 9-month grace periods. There are no origination or default fees, and the interest rate is 5 percent for the 10-year repayment period. What is the Federal Parent Loan for Undergraduate Students (PLUS)? PLUS loans allow parents to borrow money for uncovered education costs. Unlike with Stafford or Perkins loans, larger loan amounts are available up to the total cost of college, at a fixed interest rate of 7.9 percent. Interest is charged from the date of the first disbursement until the loan is paid in full. Credit checks are conducted for the loans, and PLUS loans are the financial responsibility of the parents, not the student. What is the difference between a PLUS loan and a private loan? Private lenders may offer more flexible repayment options and perhaps a lower interest rate. However, more private loan rates are variable, which means the cost of the loan can rise in the future.